Liberals MPs have voted down an opposition motion to launch a new Commons ethics committee probe into the SNC-Lavalin affair. Liberal MPs have voted down an opposition motion to launch a Commons ethics committee probe into the SNC-Lavalin affair. Liberal MP Nathaniel Erskine-Smith, who broke with party ranks to vote in favour of an NDP motion calling for a public inquiry into the SNC-Lavalin matter, said he opposes an ethics committee hearing at this time because it is "premature." He pointed out that the justice committee is still awaiting a written submission, texts and emails from former attorney general Jody Wilson-Raybould, the Liberal MP whose allegations of political interference in her work as attorney general touched off the scandal which has dominated federal politics for weeks. "To me, it makes far more sense to see what is said in that statement, to see how justice reacts to that and whether they think any of that new information is something worth reconsidering their previous decision to close off their study," Erskine-Smith said. Apart from Erskine-Smith, no other Liberal members spoke during the committee meeting. He said the Liberal members met before the meeting began and decided he would speak for the group. Frustrated Conservatives called the vote further evidence of a government effort to sweep a scandal under the rug. "Liberals had a chance to put their votes where their mouths were, and instead they decided to vote for another coverup," said Conservative MP Pierre Poilievre. Conservative MP and ethics critic Peter Kent had drafted a motion to launch an inquiry, call former cabinet ministers Wilson-Raybould and Jane Philpott to testify by April 5 and formally request that Prime Minister Justin Trudeau broaden a waiver to allow them to speak freely. The move came after Liberal MPs used their majority on the Commons justice committee to shut down an inquiry, despite the opposition's request to recall Wilson-Raybould to testify a second time. That sparked accusations of a coverup and prompted the Conservatives to stage a 31-hour voting marathon in the Commons in protest. Earlier today, Trudeau downplayed the split in the Liberal caucus over the SNC-Lavalin affair when asked if he faces civil war in the ranks, and said that the Conservatives' voting marathon ended up being a team-building exercise. "Because of the tremendous opportunity to vote as a team for 30 hours last week, where we watched the Conservatives voting against everything from support for women's programs to support for our veterans to support for our military, our team has come out stronger and more united than ever before," he told reporters in Winnipeg today. "I am incredibly proud of the Liberal Party, that we are focused on the things that really matter to Canadians." 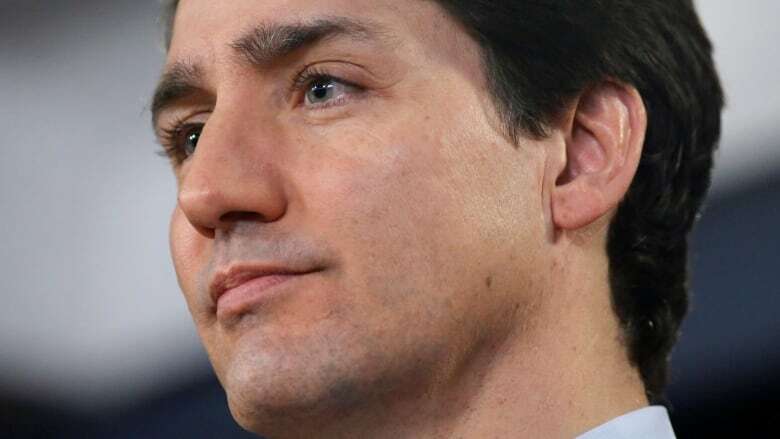 Two cabinet ministers, Trudeau's principal secretary and the clerk of the Privy Council have resigned in the wake of allegations of inappropriate political interference in the criminal prosecution of SNC-Lavalin, a Quebec-based global engineering and construction firm. Some Liberal MPs have accused their colleagues Wilson-Raybould and Philpott of dragging out the SNC-Lavalin affair. Liberal MP Judy Sgro said last week they should "put up or shut up" by using their parliamentary privilege to air any remaining grievances in the House of Commons. Wilson-Raybould has said she believes she was demoted from the justice ministry to Veterans Affairs for refusing to pursue a deferred prosecution agreement (DPA) for SNC-Lavalin that would have halted its criminal prosecution on bribery charges related to contracts in Libya. Trudeau has denied her claims. Raybould resigned from cabinet last month. Philpott resigned as Treasury Board president earlier this month, saying she had lost confidence in the government's handling the SNC-Lavalin matter. Kent argued it's time for the ethics committee to search for answers. "After Liberals on justice prematurely shut down their incomplete study, it became entirely appropriate for ethics to create a study of our own, to provide a safe and civil forum for Ms. Wilson-Raybould and Ms. Philpott to address unanswered issues and speak to events and conversations beyond the narrow waiver offered initially by the prime minister," he told CBC News. NDP MP Daniel Blaikie had said it would be a "shame" if the other Liberal MPs voted against an SNC-Lavalin committee probe without putting anything on the official record to explain their decisions. "That would be a shameful spectacle, to walk out of here without indicating on the record as to why it is that they would vote against this motion," he said. Conflict of Interest and Ethics Commissioner Mario Dion's office is also carrying out an investigation. Erskine-Smith said that probe undermines the argument for an ethics committee study. Dion is scheduled to appear before the committee in early May and can answer questions at that time, he said. While other Liberals have suggested Wilson-Raybould and Philpott could simply tell their stories in the House of Commons, Erskine-Smith said they should not be forced to turn to parliamentary immunity. He said he believes the waiver should cover any evidence relevant to the SNC-Lavalin matter. "If there's any conversation, any evidence that Ms. Wilson-Raybould or Ms. Philpott need to give with respect to this issue of allegations of unnecessary interference, regardless of the time period, I think that evidence should be permitted," he said. NDP Leader Jagmeet Singh said today's developments support the argument for a public inquiry. "What's clearer than ever is, with a Liberal majority on the committees, the committees are unable to hear from witnesses, to get to the truth that Canadians so rightfully deserve," he said. "And that's why, more than ever, our call for a public inquiry is the path forward." Liberal MP Karen McCrimmon said the ongoing "frenzy" is serving certain "political purposes" — she didn't say whose — but it's not serving the interests of Canadians. She conceded it is damaging the Liberal caucus. "Teams are really fragile things. They take an awful lot of effort to build and to maintain," she said. "The trust inside a team is absolutely key. So yeah, it's taken a bit of a hit, because these disagreements were taken outside of the party to air publicly." Trudeau's caucus troubles aren't quite limited to the SNC-Lavalin fallout. Last week, Ontario MP Celina Caesar-Chavannes quit the Liberal caucus and opted to sit as an Independent after the Globe and Mail published an interview in which she said Trudeau became hostile towards her after she told him she would not seek re-election.